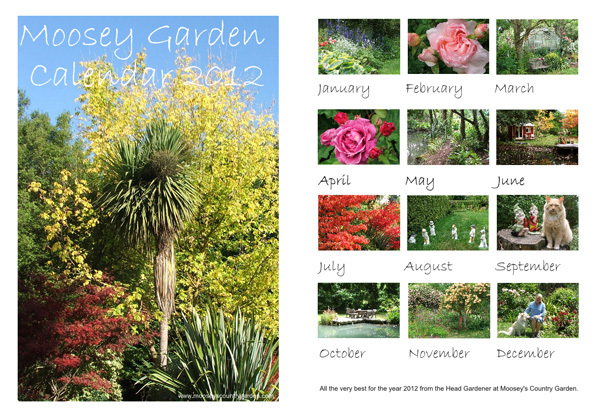 The Moosey calendars should show off the special flavour of my New Zealand garden, with its Phormiums, Cordylines, and garden gnomes. But I also grow roses, and can never resist a couple of rosy pages. You will enjoy beautifully mowed lawns and fabulously weeded borders - well, that's the theory! The cats and the dog will naturally pop into a couple of pictures, and you can meet one of my strangest acquisitions ever - a set of concrete cricketers, playing backyard cricket on the lawn. 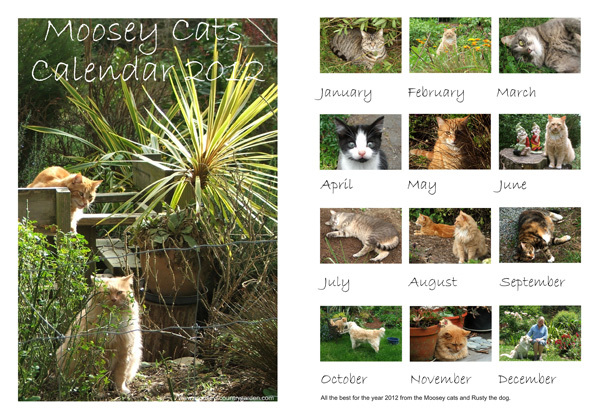 The Moosey cats featured in a brand new calendar for 2012. Even Little Mac the black and white kitten made it - just in time! There are twelve beautiful pictures of ginger boys Percy and Fluff-Fluff, Histeria the tabby, and the two grey cats Minimus and Lilli-Puss. Oh - mustn't forget Tiger the tortoiseshell, senior cat. 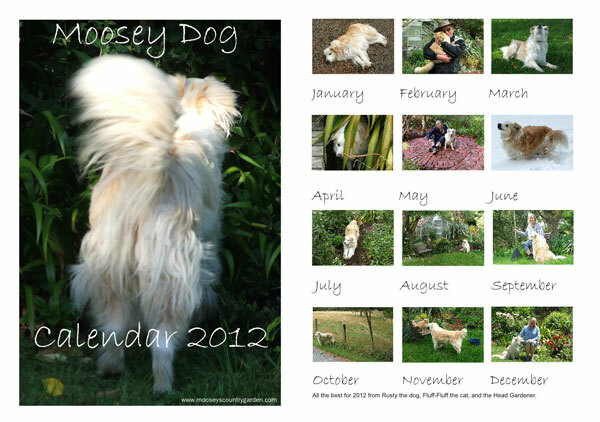 Rusty the red Border Collie dog had yet another calendar full of his latest photographs. The front cover was rather indelicate, featuring his fluffy creamy-white dog-bottom!